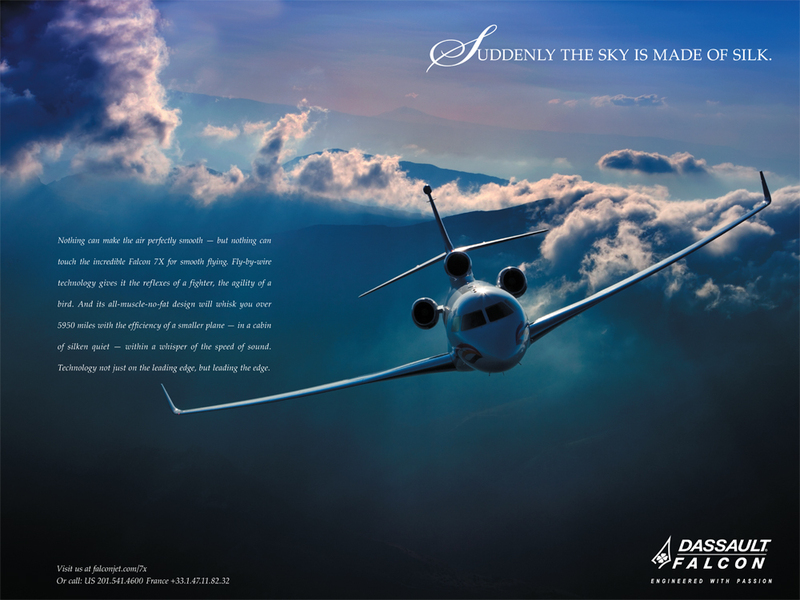 A series of ads done in conjunction with the launch of the Dassault Falcon 7X in 2007. Dassault Falcon ad campaign. You can also view some of the collateral we did.